The stories in this collection explore the physical and psychological effects of combat, both on those who serve and those back home. Told from the points of view of spouses and children as well as the soldiers themselves, the stories tackle 11 different scenarios spanning five American wars. Guilt and acceptance, despair and hope, selfishness and sacrifice, and above all, love, blend together as characters come to realize maybe their feelings aren’t futile after all. 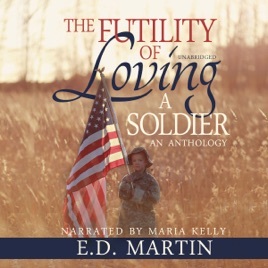 The Futility of Loving a Soldier by E.D. Martin. Evolved Publishing presents a collection of interconnected short stories focused on the difficulties of maintaining relationships with troubled soldiers who've returned from war, from the author of the women's fiction novel Yours to Keep or Throw Aside.